June has been yet another lean month for Aboyne Castle and Craigendinnie Beats, we had a spate in the second week but fresh runs of fish just didn’t hold with us unfortunately, since then the water has continued to drop and has been around 6″ on the gauge for the rest of the month. With 6 salmon to the bank for the month, 3 on each beat things have been tricky, there were however a few sea trout about and the anglers who concentrated their efforts at night were rewarded with some sea trout sport. 28 Sea Trout were landed in June and the evenings on the river this time of year can really be a special time, owls and otters replace the seaguls and oyster catchers, bats darting around the head and senses are heightened, our sea trout a not the biggest in the world but they hit the fly with such force that in darkness is a well worth quarry. As always I remain optimistic, now we are waiting for the grilse to start running the river in numbers, there are now residents in some pools which always keep us interested and trying different methods to tempt them fills many days! 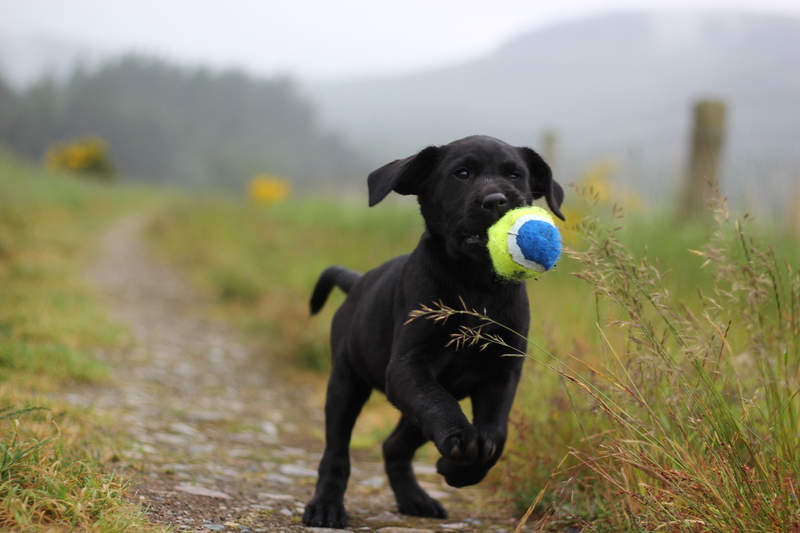 There is a new member to the Ghillie team, Isla my 10 week old black lab pup is certainly adding entertainment when the fishing is being slow.